Chadian troops and South African mercenaries were at the forefront of the push in early 2015 to expel Boko Haram from towns the group had occupied in northeastern Nigeria. In some instances, such as the group’s stronghold in Damasak (Borno State), Boko Haram was routed in a day—revealing the military weakness of the group that had held the Nigerian Army at bay for years. Chadian President Idriss Déby took notice of the Nigerian military’s absence, complaining it took days in some cases for the Nigerians to reclaim newly liberated towns. As much as anything, the Boko Haram insurgency, escalating since 2011, had exposed the deterioration of the Nigerian military’s capacity—a military once touted as the most capable in Africa. Why Had Nigeria Failed to Contain Boko Haram? Nigeria has a long legacy of military governments. It wasn’t until 1999, under former Army General Olusegun Obasanjo, that Nigeria started down the path of democracy. 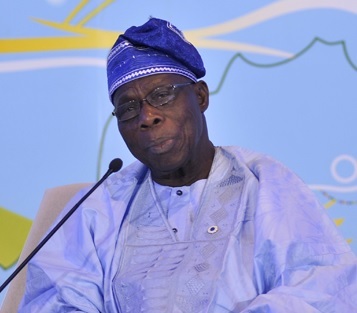 Obasanjo’s election, however, did not sweep aside political interests cultivated under decades of military rule. Individuals from the previous military administrations remained influential. To prevent the threat of another coup, the new democratic government began a policy that slowly starved the military but fed its officers. This pattern has persisted—even as the government ramped up funding for the military to combat Boko Haram. Between 2011 and 2015, annual military spending increased from $2 billion to almost $6 billion—making it one of the three largest defense budgets in Africa. Of the nearly $6 billion, however, only about $600 million went to equipment (weapons and military hardware). The rest went to headquarters and staff elements of the armed forces, or was taken for personal use under the guise of enhancing security by various military and government officials. Equally problematic is that the military’s force structure and mission are misaligned with the country’s security challenges. The Nigerian Army is a conventional army in mindset, focused on an external enemy and serving on AU and UN peacekeeping missions. 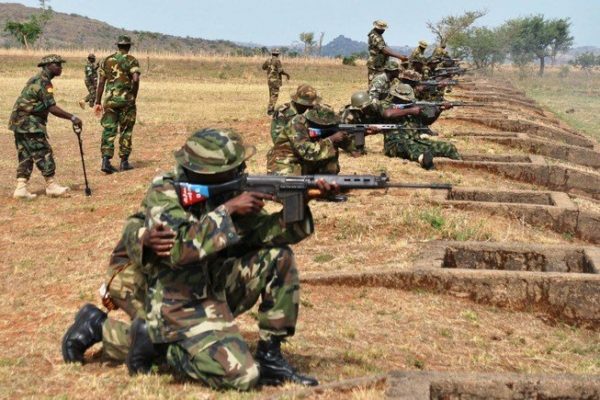 Due to the inability of the police and other segments of the Nigerian security sector to subdue Boko Haram, however, the military has been forced into a domestic security role for which it is ill-equipped and untrained. The Army’s at times heavy-handed responses to Boko Haram attacks have resulted in numerous civilian casualties and have left much of the northern Nigerian population fearful of the military. Lacking strong ties to local communities, the Army has had little understanding of its foe, further limiting its effectiveness. The breakdown in the Nigerian military—from its inability to operationalize its mission, weak resource management, and poor morale, to human rights abuses against civilians—suggests weak command and control by the military brass. There is little connection between official military policy and the acts of the rank and file. Senior Army leaders have been unable to explain human rights abuses by their troops in the North despite understanding how indiscriminate violence toward civilian populations undermines the Army’s efforts among local communities. That these acts are either denied by the military or blamed on other actors perpetuates a culture of impunity that undermines the military’s reputation among civilians and fosters deviant behavior among troops. Despite the escalating threat of Boko Haram, purchases of new weapons have been rare. The military usually buys refurbished equipment from other countries or cannibalizes existing systems for parts. Former U.S. Ambassador John Campbell notes that sometimes “Ammunition and arms are budgeted and paid for, but they don’t always reach the front lines, either because they are diverted to the black market, or because the money actually went into a procurer’s pocket.” The rank and file—not provided with adequate training, living conditions, equipment, or pay—suffer from low morale. Consequently, the Army has struggled with mutinous soldiers. The Nigerian Army—one of Africa’s largest—has become a hollow force. The patronage system that has divided the country into various turfs for local and national politicians has ensnared parts of the security sector as well. While there are many professional military officers who uphold high standards, there are others who subscribe to this form of co-option. In Nigeria, as in many African countries, parliaments rarely oversee the military budget process. Contracting, moreover, is an opaque business frequently marked by inadequate oversight of military procurement practices. Illustrating this were the secret arms deals authorized by Nigeria’s national security adviser while Army troops were supplied with inferior and inadequate arsenal. Reports of fraudulent security contracts, commanders skimming from soldiers’ pay, and troops being used by incumbents in local elections are widespread. The well-documented system of “security votes”—allowing state governors and other elected officials a disbursement of unappropriated funds from the treasury for the purpose of enhancing security locally without the need to account for spending—has allowed some politicians to fund personal interests without scrutiny. Some of these funds are likely to have gone directly to members of Boko Haram. Meanwhile, soldiers on the ground and the civilian population bear the consequences. Ultimately the government’s politicization of the security sector and the military brass’ silence on the depletion of the defense budget by colleagues has directly compromised its effectiveness—and further erodes public trust in the Nigerian military. 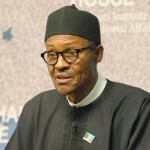 During the electoral campaign, President-elect Muhammadu Buhari promised to tackle the threats to peace and stability in the country. Rebuilding military professionalism will need to be a high priority on that list. Dominique Djindjéré, “Democracy and the Chain of Command: A New Governance of Africa’s Security Sector,” Africa Security Brief No. 8. Washington, DC: Africa Center for Strategic Studies, November 2010. Helmoed Heitman, “Optimizing Africa’s Security Force Structures,” Africa Security Brief No. 13. Washington, DC: Africa Center for Strategic Studies, May 2011. Mathurin Houngnikpo, “Africa’s Militaries: A Missing Link in Democratic Transitions,” Africa Security Brief No. 17. Washington, DC: Africa Center for Strategic Studies, January 2012. Emile Ouédraogo, “Advancing Military Professionalism in Africa,” ACSS Research Paper No. 6. Washington, DC: Africa Center for Strategic Studies, July 2014. Zoltan Barany, The Soldier and the Changing State: Building Democratic Armies in Africa, Asia, Europe, and the Americas. Princeton: Princeton University Press, 2012. Rafael Serrano and Zacharias Pieri, “By the numbers: The Nigerian State’s efforts to counter Boko Haram,” Boko Haram: Islamism, politics, security and the state in Nigeria, ed. Marc-Antoine Pérouse de Montclos, West African Politics and Society (WAPOSO) Series, Vol. 2 (Leiden: African Studies Centre, 2014), 192.